When’s the last time you maintained your HVAC? 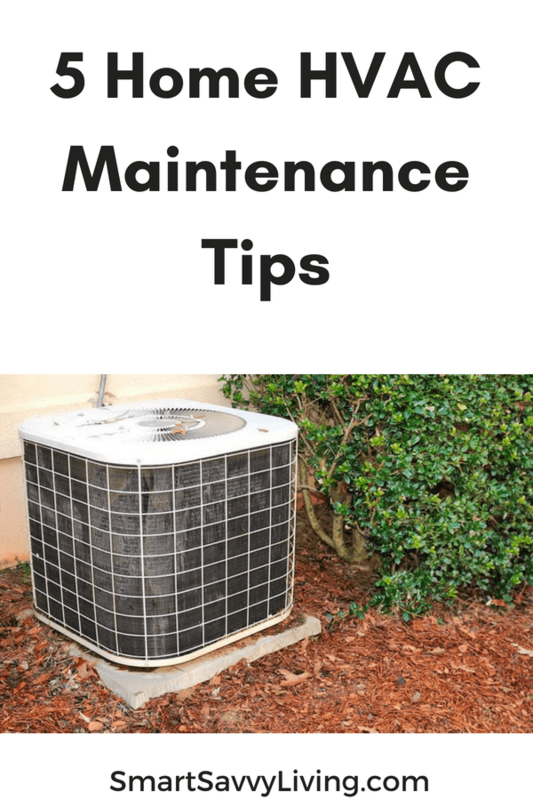 Check out our 5 home HVAC maintenance tips to make sure it’s in tip-top shape. Smart Savvy Living has partnered with Sears Home Services to bring you this post. All opinions are our own. After a long day of work, everyone wants to come home to a comfortable home. Or, if you’re like our family, I work from home and we also have pets we want to be comfortable. A lot of that comfort comes from the temperature inside our homes. Most modern housing has an HVAC system that we depend upon for that controlled comfort. It’s something we tend to take for granted but severely miss when it’s not working right. 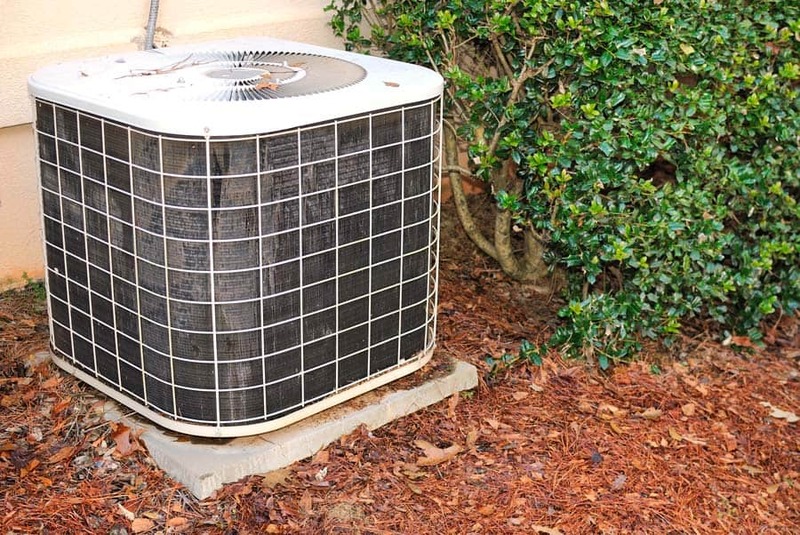 As such, it’s extremely important regularly follow these 5 home HVAC maintenance tips. 1. Change the filters – Did you know that you should change the air filters for your HVAC every 3 months? If you have pets you may need to do so more often. Since we have 4 cats I like to do so monthly. When you don’t change your filters often enough, they become clogged which reduces airflow and makes your HVAC system have to work harder. It may also impact the air quality in your home if the filters are too clogged to pick up dust and pollen. 2. Clean the vents – If it’s been a while since you changed your filters you may also need to clean your vents by dusting or with a vacuum. I know that when I’ve forgotten to change our filters for a couple of months there will often be a fine dust build-up on the vent grate that the filter is behind. It’s also a good idea to vacuum the vents/registers that the air comes out of into the various rooms. 3. Check the system itself – Check for things like dents, cracked hoses, and clogged compressors. Make sure outside units are free of leaves and other debris. I like to also clear any debris in about two feet surrounding the unit so the wind doesn’t blow it into the unit. 4. Consider a programmable thermostat – I’ve been told by an HVAC technician before that it isn’t a good idea to constantly change the thermostat, especially when the system is already running. Changing the thermostat so often can make the system have to work harder and even go into secondary modes that use a lot more energy to heat up your home. We like having a programmable thermostat that we can also control with our smartphones. This means we can easily keep it cooler at night like we prefer and have the house warmed up just before we normally get up. We can also adjust the thermostat away from home if we know we’re going to be gone for several hours. 5. Have your HVAC professionally serviced regularly – Having your HVAC professionally serviced before a seasonal transition is a great way to help make sure you aren’t left without heating on the coldest days or cooling on the hottest. While you can give your system a general lookover, HVAC professionals know what to look for that the average person may miss. They may even be able to detect issues while it’s early and may be easier, quicker, and cheaper to repair. If it’s time to have your HVAC professionally looked at Sears has a great deal of $40 off HVAC repair or maintenance through 4/30/2018. Get more information here. There’s also the Sears HVAC Saving Program where you can earn dollar-for-dollar credits towards a new HVAC system with qualified paid HVAC repair or maintenance from Sears Home Services. Get more details here.